]Photo Credit: Gary A. Vasquez/USA Today Sports/Reuters. In case you live under a rock—or are a Yankees fan and have been living under one since the 16-1 beatdown from Boston—the Red Sox are your 2018 World Series Champions. Let that sink in. Now consider the fact that the Red Sox are the first team of the 21st century to win four World Series titles. Let that sink in. Red Sox teammates join the dog pile after Chris Sale clinched the World Series. Photo Credit: MLB. Every Red Sox World Series team has brought something new and memorable to the table. The 2004 Red Sox can best be recognized for their historic comeback in the ALDS against the Yankees and breaking the 86 year championship drought. The 2007 Red Sox can best be characterized by Manny’s walk-off or JD Drew’s grand slam. 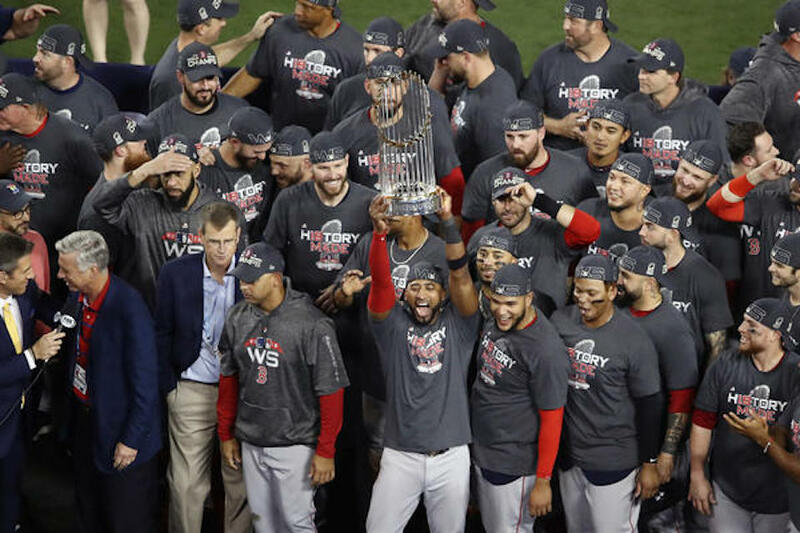 The 2013 Red Sox can be encompassed by their sheer will to win after the tragic Marathon Bombing and by David Ortiz’s ‘This is our city’ speech and his rally speech during Game 4 against the Cardinals. 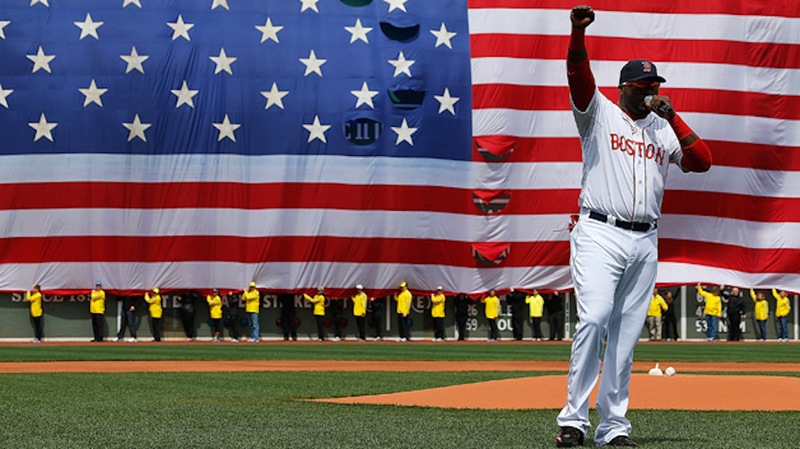 David Ortiz giving his “Boston Strong” speech in 2013. Photo Credit: CBS Boston. When we look back on the 2018 Red Sox, then, what will be their legacy? Will it be the Benny ballerina catch? Will it be Brian Cashman’s ‘damage’ comments? Boston’s new ownership of ‘New York, New York’? Or the sheer dominance that this team exerted over everyone they faced? This team was an absolute wagon that reached milestone after milestone and never looked back. However, maybe it won’t be any of these things that the 2018 Red Sox are remembered for. Maybe it will be for something you never even realized would be important. 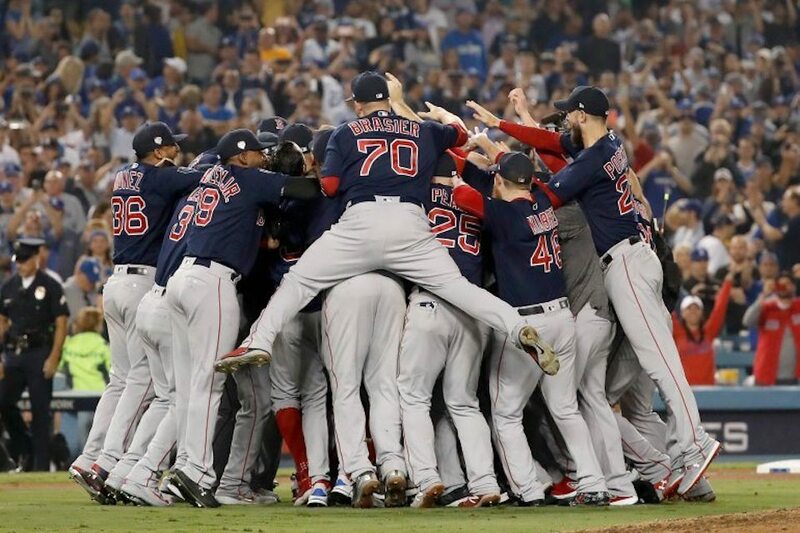 For this reason, and for the fact that we have to wait until March for baseball again, I will be doing a weekly recap of the Red Sox historic season. The Red Sox celebrate with the 2018 World Series trophy. Photo Credit; Ezra Shaw/Getty Images. Every Thursday starting this week, a new part of the Red Sox 2018 season will unfold and you’ll be taken back to memorable moments, including the Red Sox Opening Day loss and the Nathan Eovaldi acquisition. The series wraps up the day before Spring Training starts and the Red Sox undoubtedly have a hard time handling the Northeastern Huskies. But for now, go bask in the glory of your 2018 World Series Champions.